To imagine a socialist United States is what many people might consider a utopian vision. In that particularly pragmatic strain of American thought, utopian has an almost pejorative association to it, too. As in, get real, that’ll never happen.In fact, so thoroughly have the intellectual traditions of socialism been marginalized in the United States that it’s hard to imagine a major corporate publisher even bringing out a book on the theme of a socialist America.With HarperCollins new title, Imagine: Living in a Socialist USA, the latter at least has happened. The brainchild of veteran literary agent Frances Goldin and co-editors Michael Smith and Debby Smith, the new anthology offers a lively cross-section of writing on themes related to revolutionary social change. From economists to poets, psychotherapists and labor activists, the book strives admirably to suggest the potential for a better world beyond capitalism. Some contributors include Angela Davis, Mumia Abu-Jamal, Rick Wolff, Clifford D. Connor, Juan Gonzalez, Dave Lindorff, Paul LeBlanc, and Michael Moore.Where it starts is with an appraisal of just how far we are from the egalitarian ideal. As writer Paul Street aptly summarizes in the book’s opening essay, inequality and poverty are deeply entrenched traditions in American life—and worsening. According to the 2010 census, the number of citizens living in official poverty in the United States stood at 46.2 million. That’s over 15 percent of the population, or every 1 in 7 people.If you consider also those living in “near poverty,” as a New York Times 2011 survey did, the overarching reality of poverty expands to include an astonishing one in three Americans. Of course, for minorities the reality of American life has long been more akin to a permanent Great Depression. In 35 of the largest cities, the first half of 2010 found unemployment rates among Blacks ranged from 30 to 35 percent. The poverty rate of 26 percent was double that of whites. For a country long considered the richest in the world, the figures are astonishing. But there’s a reason for the rich nation designation. This is a country that produces families like the Waltons, magnates of the Wal-Mart empire of cheap goods and underpaid jobs, who now own more wealth than 48 million families. Consider also the 57,000 people with at least $30 million in wealth, representing the top .05 percent of the population. Then there’s the rarified air breathed by the American billionaire class, the pinnacle of concentrated ruling class wealth and power. There are about 400 of them. The modern United States is more an economic oligarchy than a popular democracy, conclude Gilens and Page. That’s a dry way of saying raw, naked power in the hands of a privileged few rules the nation. Indeed, as the twenty-first century proceeds, global extremes of wealth and inequality are reasserting themselves with renewed force, declares French economist Thomas Piketty argues in his surprise bestseller “Capital in the Twenty-First Century.” From Piketty we get a long view of rising inequality as a structural component of international capitalism, one expected to deepen in coming years. With few ideas of their own, Piketty’s sobering critique has “free market” apologists screaming “Marxist!” at the professor. But Piketty is hardly a Marxist. His solutions involve not revolutionary social and political change, but ideas like implementing a “global wealth tax” to reduce inequality and raise living standards. In a recent Salon essay, Thomas Frank, author of “What’s the Matter With Kansas” (Holt, 2005), criticizes Piketty’s solution for ignoring the importance of labor organizing as a counter to capitalist greed. Right, as far as it goes. Currently, as Frank notes, only 6.7 percent of American workers have union collective bargaining rights to protect them from the predatory greed of employers. An organized, independent mass labor movement is indeed a prerequisite to turning back the oligarchy’s long assault on living standards. But, ultimately, what’s all the organizing for? Is it just to engage in a perpetual historical tussle with employers over higher wages? Or to protect Social Security benefits, resist skyrocketing college tuition costs, and demand much-needed paid family medical leave for new parents? 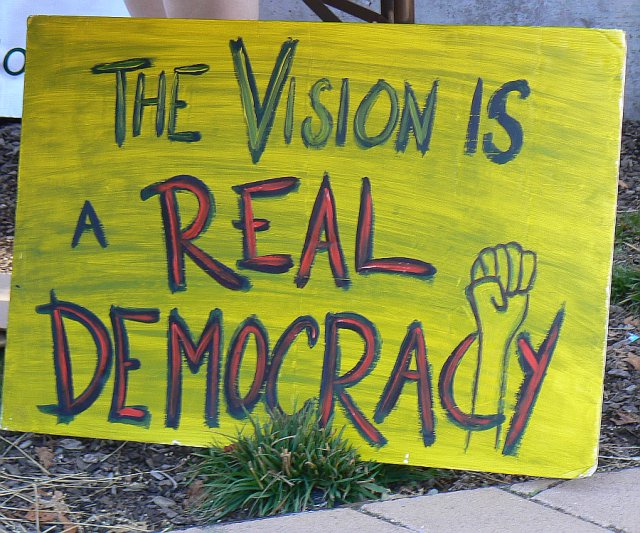 Is our vision only to see the AFL-CIO transformed into a strong, fighting instrument of the people’s interests? Is that all it will take to earn capitalism a seal of approval as a fair and just system? Or is the answer something more? Is the answer a completely new society, one beyond capitalism? Is the answersocialism? What exactly is the socialist alternative? Definitions abound, including even one that claims Barack Obama’s politics fall under the socialist label (not). For sure socialism is not the distorted legacy of dictatorial bureaucratic power represented by Stalinism in the Soviet Union or China. Nor is it the reformism of a kinder, gentler capitalism envisioned in the traditions of European Social Democracy. Simply put, as several contributors to this book explain, socialism means economic democracy. It is political democracy extended into economic life, the people managing society’s productive resources in the interests of the majority. The socialist alternative equals a society in which economic decisions are made on the basis of humane goals and rational planning, democratically determined and for the benefit of all. This is in sharp contrast to the authoritarian business model of modern capitalism, in which corporations exist only to return profits to owners and investors. Despite its marginalization, socialism as a philosophy or political alternative has rich traditions in the United States going back to the nineteenth century. Indeed, the great historic movements of labor, civil rights, women’s rights, the movement to end the war in Vietnam, and other social struggles have often been led or deeply influenced by men and women of socialist ideals. Admittedly, Imagine is less concerned with how to achieve socialism—the leadership issue—than it is with persuading readers of the essential validity of the socialist vision. With this limitation in mind, the book is appropriately titled. For one of the worst consequences of mainstream politics and media is the way it deflates the social imagination. This is no accident, of course. The corporate news media rarely sees beyond the narrowly defined limits of bipartisan politics, the perennial election dramas and legislative skirmishes among professional politicians who at the end of the day remain in service to “the 1 percent.” On television the likes of David Gregory, Chris Matthews, and others solemnly pontificate over the endless minutia of beltway power politics, assuring us what is under discussion is very, very important. Even the earnest liberals of MSNBC fall into this narrow, stupefying perspective. It’s all a dreary, cacophonic blur of a system on autopilot, flying straight into its own eventual ruin. At this late stage in capitalism’s history, it ought to be obvious the system even at its most prosperous cannot offer the majority of the people enduring economic security or social peace. Even during a boom cycle, the specter of recession or depression always looms. Meanwhile, basic necessities of life such as food, housing, health care, and jobs remain ultimately just pawns of a “free market” in which nearly every human resources is reduced to a commodity. And when economic struggle between competing nations reaches an impasse, let the wars begin! How many hundreds of millions of the modern era have died violently as a result of global capitalism’s failures? Some of us imagine a different world, one in which economic exploitation is a thing of the past. We envision an end to a system in which privileged elites gorge on profits earned at the expense of society’s well-being and future. Instead, we foresee a time in which the world’s great technological and productive capacity is used to lift up society, eradicate poverty, and empower the people in ways far more profound than most can now imagine. But imagine and act we must. For as the early twentieth century Polish revolutionary Rosa Luxemburg once described, the choice before the world was one of “socialism or barbarism.” A century later we see that later choice still embodied in the ever-enduring possibility of nuclear war, but also in the specter of catastrophic climate change caused by the skewed legacy of industrial capitalism. Despite the cynicism of our age, the possibilities for a new society are endless and profound. 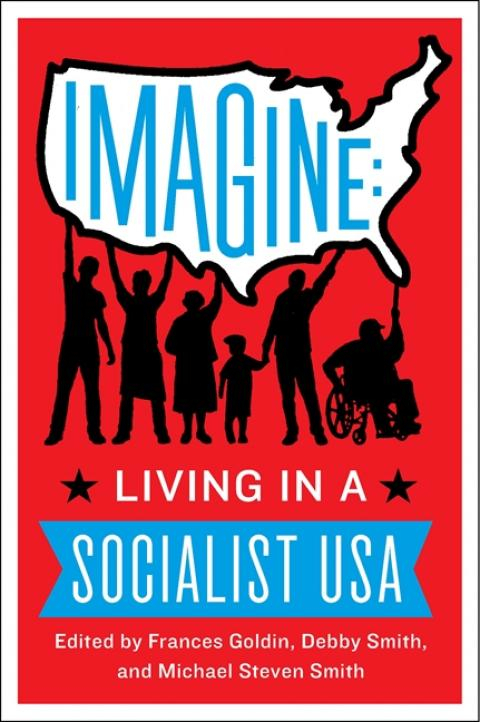 As the contributors to this provocative new collection of writing on socialism remind us, we can indeed only begin to imagine the limits of what is possible. As the French student movement of May 1968 once declared, we also face now only the very realistic task of demanding the impossible.